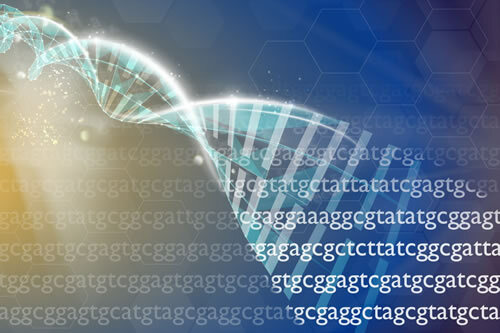 The National Human Genome Research Institute (NHGRI) has recently announced the commitment of $6.7 million in new research grants to develop DNA sequencing technologies that are more sensitive, faster, cheaper, and more accurate than those already on the market. These new awards are a re-up in an investment that began in 2004 through the Genome Technology Program. The field of DNA sequencing is full of ideas that are just crazy enough to work. We now have technology that uses light emitted from glowing molecules to figure out the correct order of a DNA sequence, and a cell phone-size device that harnesses electric current to decipher the genome. The information stored in our DNA is converted into RNA transcripts that serve many biological functions, including containing the basic instructions for making proteins. RNA is an essential product of the genome and, in one role, is directly responsible for which—and how much—protein is produced in each cell of our bodies. However, in spite of numerous attempts to develop technology to directly sequence RNA, it continues to hide many of its mysteries. Current methods, which use next-generation DNA sequencing to characterize all of the transcripts expressed at a given time (transcriptome), involve an intermediate step where researchers must convert the RNA into complementary DNA (cDNA) so that the current sequencing machines can read it. This is an imperfect copying process that, when combined with short sequencing reads, results in some transcripts being sequenced more easily than others, and in difficulty putting the transcriptome puzzle back together. These limitations ultimately lead to imprecise and incomplete read-outs of gene expression and transcript diversity. Moreover, this process can completely miss reading the chemical modifications of RNA. These chemical changes can alter the function of an expressed gene or modify how stable it is in the cell. Having the ability to directly sequence RNA will allow researchers to tackle an entirely new set of experiments. These experiments could have broad applications not only in the research lab but also in the clinic. In total, six new awards have been made through a platform called the Novel Nucleic Acid Sequencing Technology Development program (previously known as the Advanced Sequencing Technology Awards program). These projects focus on a variety of issues in nucleic acid sequencing such as work focused on direct RNA sequencing to further improvements on nanopore-based sequencing of DNA.